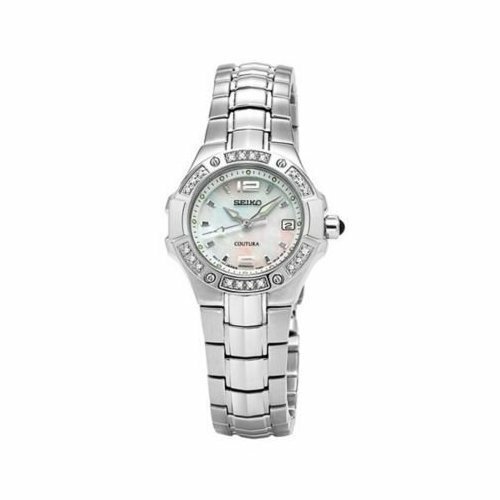 Silver tone case and bracelet;mother of pearl dial with silver toned hands and hour markers; diamonds accent bezel;Sweep second hand;Luminous hands;Water resistant to 30 meters;Datet display at 3:00;Sapphire crystal;Quartz movement;push button, fold-over clasp. 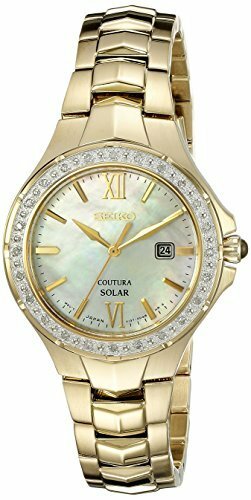 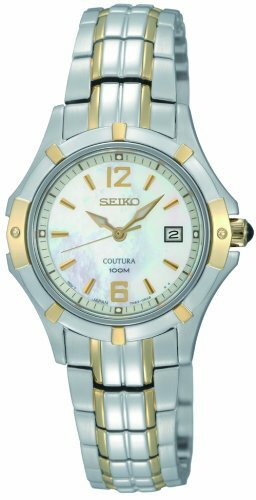 Seiko Coutura White Mop Dia 2-tone Stainless Steel Band Ladies Watch. 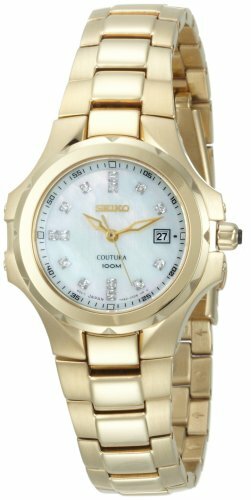 Never one to blend in, you'll love the stand-out style of the Seiko Women's Couture Solar Diamond Bezel watch. 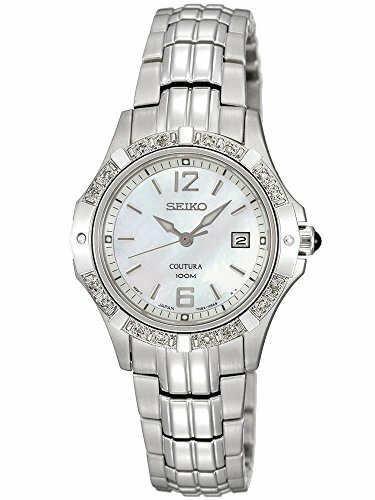 This exquisite timepiece is designed with a stainless case and bracelet and features a mother-of-pearl dial with 24 dazzling diamonds that surround the bezel. 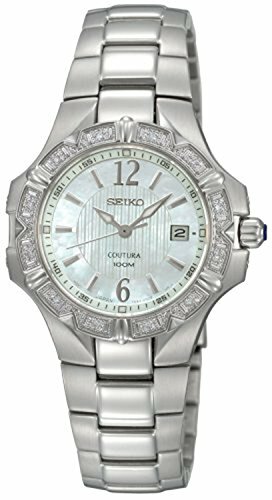 Complete with a beautiful cabochon crown, this stunning timepiece puts the perfect finish on both your career and casual ensembles.